80 available General Sale £210.00 £175 + VAT. Cost includes registration, lunch, refreshments, all conference materials and the opportunity to complete the MTQPlus. 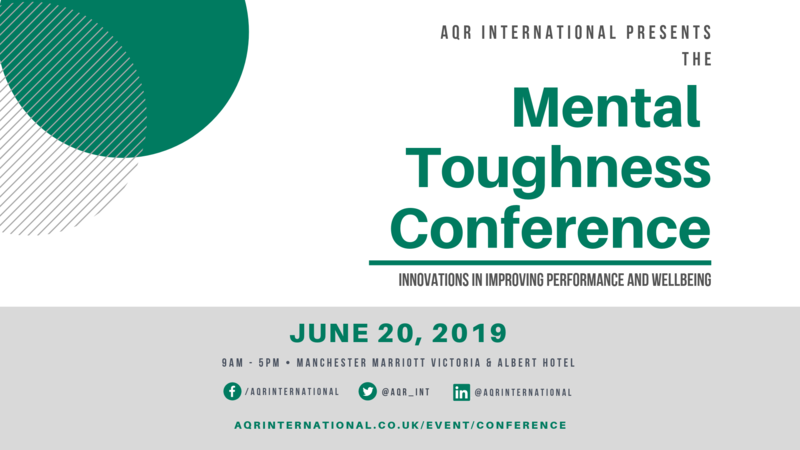 AQR International are delighted to present the first Mental Toughness Conference. Mental Toughness is a practical concept which brings valuable insight into people and organisational development. Very well evidenced it embraces notions such as resilience, learned optimism and mindset. For the first time, most of the global thought leaders will be gathered in one place. 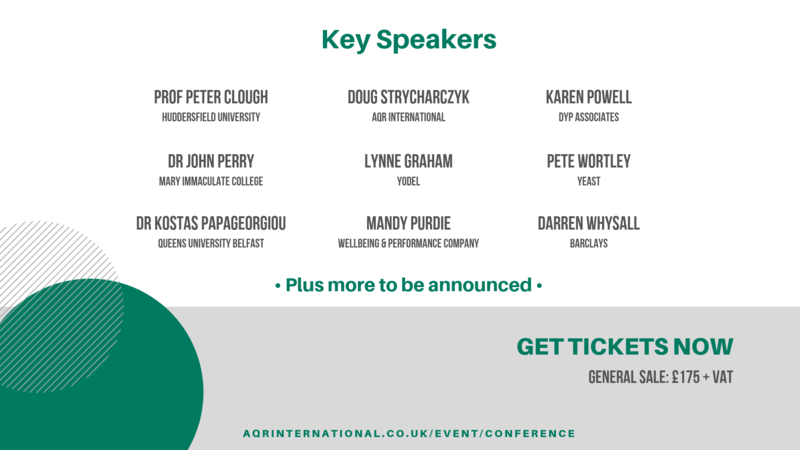 Including Professor Peter Clough, developer of the 4Cs Mental Toughness concept who will deliver a keynote address. You will also hear from practitioners who have applied the concept and the MTQ measure in their work. Professor Peter Clough will deliver a keynote address. The morning of the Mental Toughness Conference focuses on research; the evidence and where the concept is taking us. The afternoon features masterclasses on the themes of leadership, wellbeing, coaching and organisational development. Closer to the time, the full running order and ability to book places onto your chosen sessions will be made available. PERSONAL DEVELOPMENT – You will learn something new that will have a positive impact, not only in your work but your life. PRACTICAL APPLICATION – You will be able to add approaches and ideas to your work. PROVOCATIVE – You will be inspired to think about your own practices– and will still be thinking about it for many months ahead. PLEASE NOTE: Cost includes registration, lunch, refreshments and all conference materials. 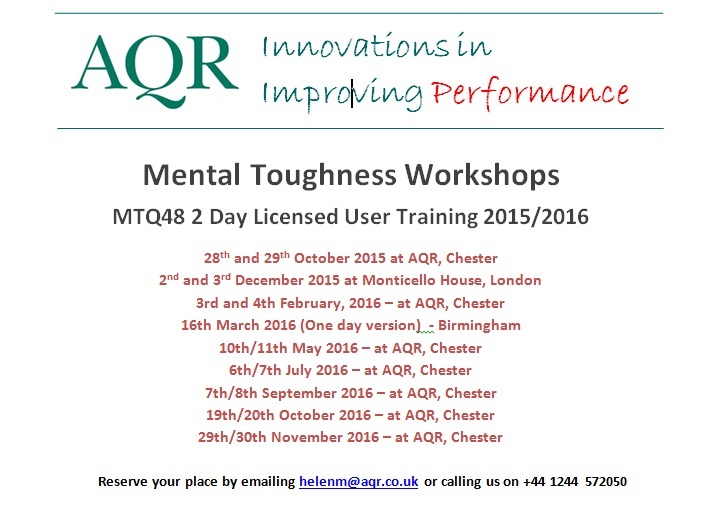 Attendees will be given a voucher to complete the MTQPlus assessment free of charge.